An elegant park-facing apartment on the entire fifth floor of 4 East 66th Street, a 1920 limestone building designed by James E. R. Carpenter, sold for $52,000,000. It was the most expensive single transaction of the week, according to city records. But an even larger deal — this one for a combination that will create a nearly 14,000-square-foot home — was also completed, with the $42,766,500 closing on the bottom four floors of the seven-story, 33-foot-wide Atterbury Mansion, a century-old townhouse that is part of a nine-building assemblage making up a 10-unit condominium at 33 East 74th Street. That apartment is being combined with an adjoining three-bedroom, purchased for $15,782,875 in February, according to a spokeswoman for Douglas Elliman Real Estate, which is handling sales for the complex. 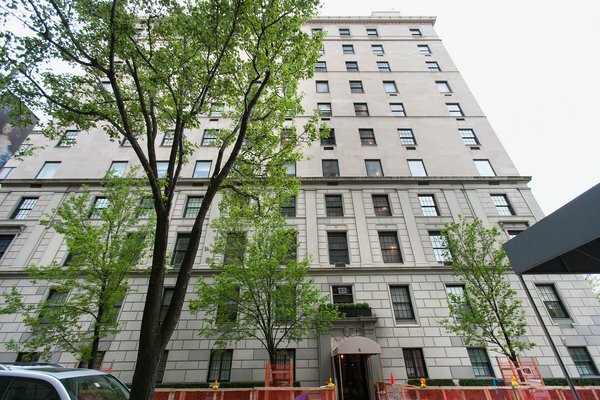 Only the sellers of these two Upper East Side megadeals have been identified. At 33 East 74th, it was the developer, the health care entrepreneur Daniel E. Straus, using an affiliate company, JZS Madison LLC. He purchased the vintage buildings from the Whitney Museum of American Art. The sellers of the 4 East 66th Street apartment, which has monthly maintenance of $20,059, were the hedge fund manager and philanthropist Daniel L. Nir and his wife, Jill E. Braufman. The couple had bought the co-op unit in 2007 for $29 million from Robert H. Burns, a founder of Regent International Hotels and one of several captains of industry who have taken up residence in the 12-story building, also known as 845 Fifth Avenue. The sprawling home — one of just 16 units in the pet-friendly building, which prohibits financed purchases — has more than 7,500 square feet, ceiling heights of more than 12 feet and huge single-pane windows that flood the space with light. Many prewar architectural details remain, including its five wood-burning fireplaces. An 11-by-36-foot gallery, just off a private elevator vestibule, offers views of the neighboring Temple Emanu-El and leads to the home’s formal living and dining rooms and a paneled library. There are four bedrooms and five bathrooms, along with a home gym, a laundry room and a windowed kitchen with a breakfast room that provides Central Park vistas. The spacious master suite features a sitting room, two walk-in closets and dual bathrooms. The buyer’s identity was shielded by the limited liability company 4 East 66th #5. Sabrina Saltiel of Douglas Elliman Real Estate was the listing broker. At 33 East 74th Street, which has the alternate address of 933 Madison Avenue, the four-floor unit TH has 10,088 square feet that includes five bedrooms, five and a half baths, two living rooms, a formal dining room and a library. The floors are connected by a private elevator. There is also a 21-by-25-foot private terrace off the first-floor family room. The monthly carrying costs for that unit are $30,427, according to StreetEasy.com. The adjacent unit 4A, with $11,463 in monthly costs, has 3,851 square feet; each of its three bedrooms has an en-suite bath, and there is also a powder room. Katherine Gauthier of Douglas Elliman was the listing broker for both properties, while Lauren Muss of Elliman was a co-broker on 4A. Richard J. Steinberg of Elliman represented the unidentified buyer in both deals.